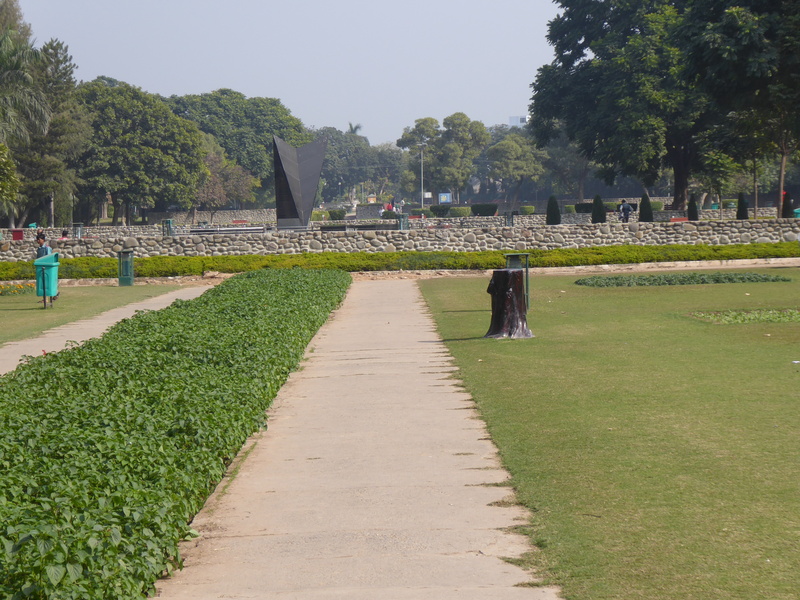 Chandigarh, India is possibly the most intriguing city in the world. A city that rose from nothing, designed by one gifted architect who died in a plane crash, only to be replaced by an equally intelligent but rigid one. On a map, this is a city that looks drawn up by design, and that’s because it was. This is the home of my paternal grandparents, and this is the story of my visit back. 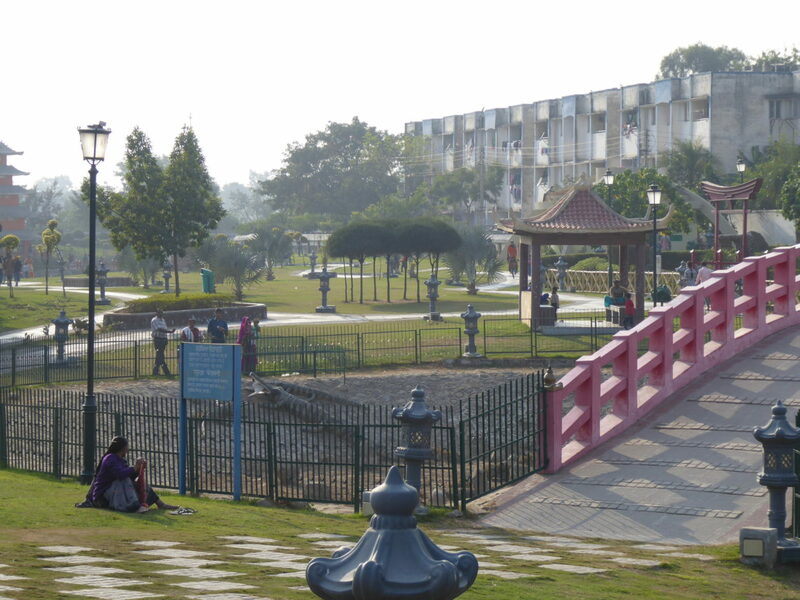 Chandigarh is about 250 kilometers north of Delhi. To arrive here from Delhi, there are three options to go: taxi, bus, train, or flight. Taxis used to be a very expensive and bumpy journey, but now with Uber the price is reasonable. During my visit, Uber had a promotional fare of 2699 rupees, roughly $41 US dollars. There are various bus services, namely privately owned Indo-Canadian bus service, and the state owned Haryana roadway bus service. The Indo-Canadian service is an absurdly expensive $50 and notoriously unreliable. The Haryana roadways bus service costs around 700 rupees, around $11 US dollars. As stated earlier, going anywhere by road in India is a risky idea, so I prefer to take the train or flight. There are three fast trains daily from Delhi to Chandigarh, at 7:40 AM, 5:15 PM, and 7:15 PM. There are two classes of seats, chair car and executive class. The difference is the seating is 2×2 or 3×3. Both are quite comfortable, but the executive class cabin has more room for luggage as there are less seats. The fares are around $5 US for AC Chair car and $20 US for executive class. It must be noted that tickets should be booked in advance as they do sell out, sometimes weeks in advance during peak seasons. If flying in, the easiest route is to perhaps simply catch a domestic flight from Delhi since one is already in the airport. There are numerous flights throughout the day on various airlines, though it must be noted that Delhi airport has 2 terminals, 1 and 3, 1 serving domestic carriers and 3 international with some domestic also. It is best to book a flight on Air India, Jet Airways, or Vistara, as these fly from terminal 3, the international terminal. The terminals are about 15 minutes apart by car, which is quite a hassle. Whereas, if you choose a flight in domestic 3, all that is required a short walk to an escalator to the right of the exit doors outside of customs and immigration. Also, it must be noted that flights are extraordinarily cheap, sometimes as little as $19 US. One thing is that flights are dynamically priced, meaning that prices are subject to change at any time, particularly as the date gets over. Jet Airways does have an option to lock the price for 72 hours for a moderate fee. Also, domestic flights usually have baggage limitations of 15 kilograms; each extra kilogram usually costs around 350 rupees or $5 US dollars. Vistara is the exception as it has limitations of 23-64 kg, depending on the class of service. My bag was 22 kilograms so I had to pay 2450 in excess baggage fees. I chose to take a connecting flight on Jet Airways at 9 AM, as my arrival was at 5:15 AM from Istanbul on Turkish Airlines. I was out of customs and immigration around 5:45 AM. My seat was booked for 9:20 AM, and I thought about changing to the earlier flight at 8 AM, but decided against it once I was told that the change fee was 2500 rupees (approximately $40 US dollars), which was more expensive than the price of my 1871 rupee ticket. Looking back, I do wish I simply paid the fee and took the earlier flight as I only had three days in Chandigarh and eight total in India. I spent an extra hour doing nothing in the Plaza Premium lounge, and also my flight was delayed by 45 minutes so I didn’t land until 10:45 in Chandigarh. Upon arrival, I was astounded by the beauty of Chandigarh airport. The airport is just two years old, and as gorgeous as a building could be. Unfortunately, though it’s been billed as an international airport, there are only three international flights so far, and none with connections to Europe or the US/Canada. These have been talked about for years but have never materialized. After claiming my baggage, I took Uber to my residence. It was a little tricky to find the driver, as he was in the back of the parking lot. The price was unbelievably cheap, I noticed this as a trend in India, rides even across the city were never more than $2 US. I communicated in Hindi or Punjabi, so I’m not sure how easy this would be for foreigners. Upon arrival at home, I had a bath after not bathing after at least 24 hours of travel. Then I had a lunch and made my way around the city. The first place to go was the garden in our sector, the Terraced Garden, one of the best in the city. To be able to have this type of garden in your neighborhood is a true blessing. This was my daily morning ritual there. After this, I spent the rest of the day catching up with relatives as well as doing some shopping in the local market. 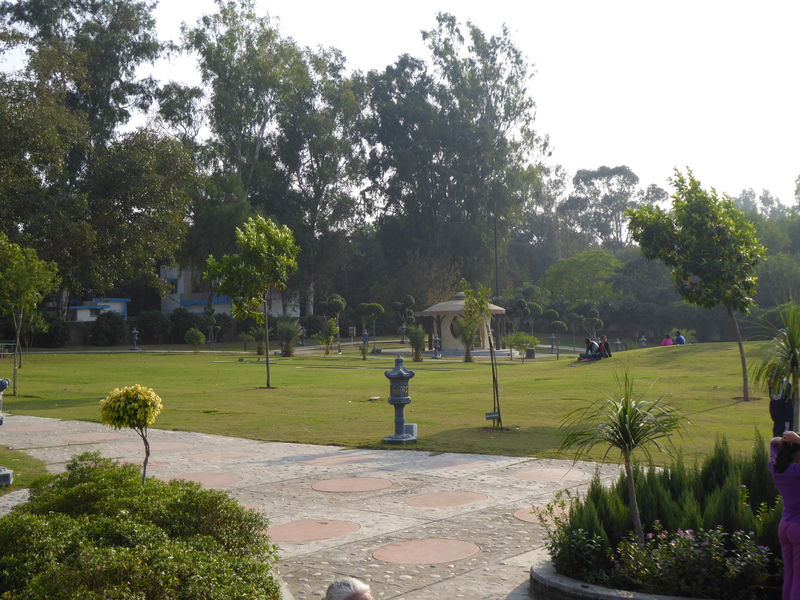 The next day, I decided to go to a different garden, the new Japanese garden in sector 31, two neighborhoods over from mine. I find it interesting that many of the cities I visit around the world have Japanese gardens. This is a tribute to the admiration and the respect that Japanese culture has worldwide. 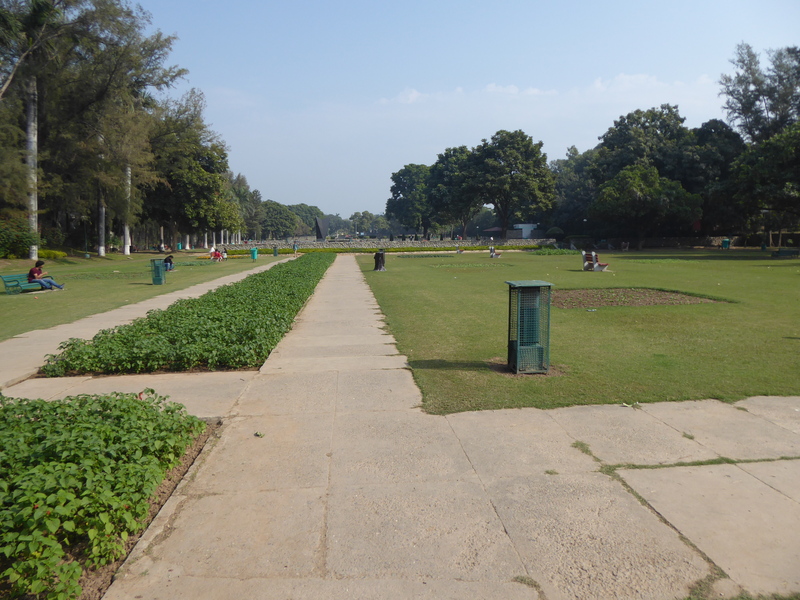 This was a very lengthy, horizontally shaped park. I noted that not everyone came here to walk, some were simply enjoying an afternoon out. Of all of Le Corbusier’s ideas, this was perhaps my favorite, to fill the cities with greenspaces. I think this is something that all cities should try to do, there is something peaceful and serene about simply meandering around a park. From here, it was again off to do some more shopping and visiting with relatives. On my third and final day in Chandigarh, I decided to do something different after my walk. 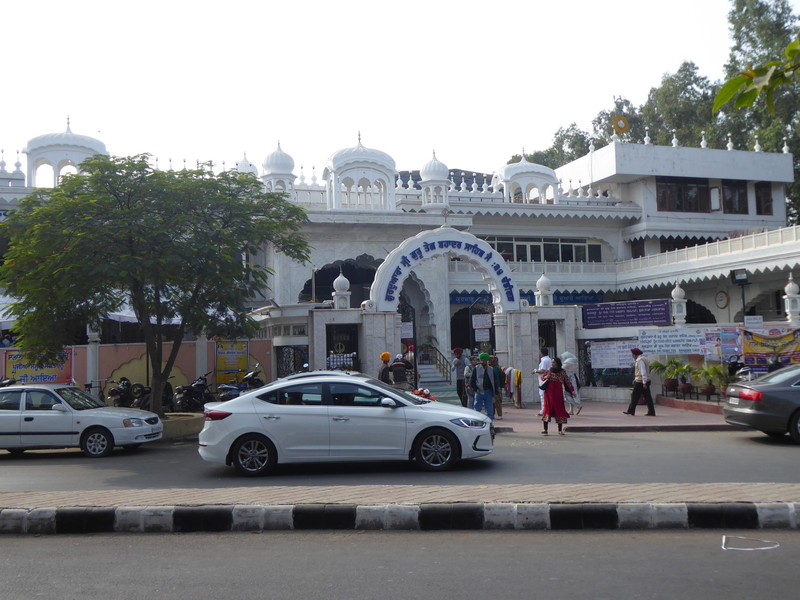 First, I wanted to go to the local Sikh temple which was about a 15 minute walk or a short Uber ride away. I chose to do something interesting and take a ride on Uber Moto, basically Uber on the back seat of a motorcycle. The price is extremely cheap, 15 rupees, or about 25 American cents. The ride was enthralling, even for a short distance there is a thrill about riding a motorcycle. When walking into the temple, I wondered why everyone was looking at me; I thought it was because of my dashing looks but realized a few moments later that there was a wedding about to begin and the couple was standing a few feet behind me. I took this as a signal to leave after paying my respects, as I didn’t want to intrude on their special day. From here, I headed to the brand new Pierre Jeanneret museum in sector 5. 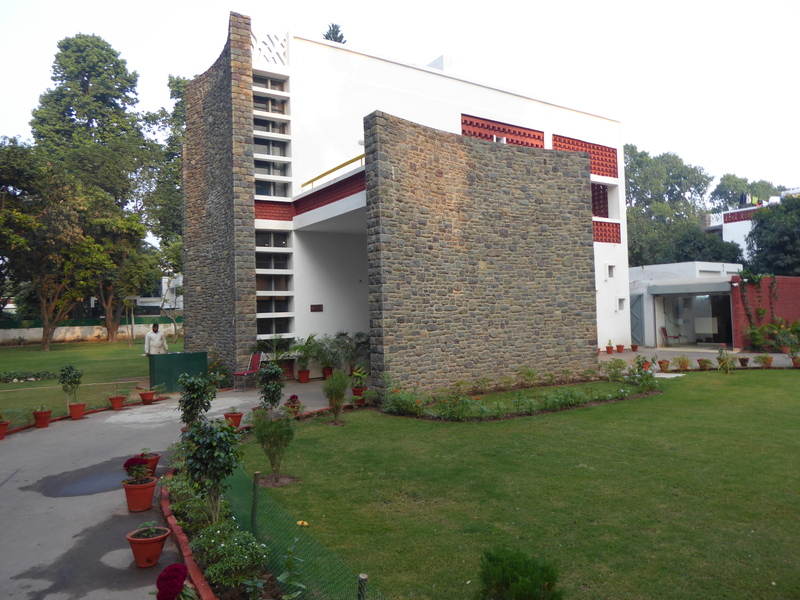 It is actually the house that Jeanneret lived in while he was the chief architect of Chandigarh in the 1950’s. The rooms are now full of pictures; like the Capitol Complex I noticed that locals didn’t seem to visit or even know about the place. In fact, even people across the street weren’t aware that it is a museum. After this, it was off to yet another dinner and alas my time was over in Chandigarh so quickly yet again. From here I went off to the heart of Punjab state to visit my other set of grandparents. A piece of my heart is always left behind when I leave Chandigarh, for it is a city I love dearly and have a deep connection with and forever will. Now I simply wait until the next time I can visit this enchanting city. 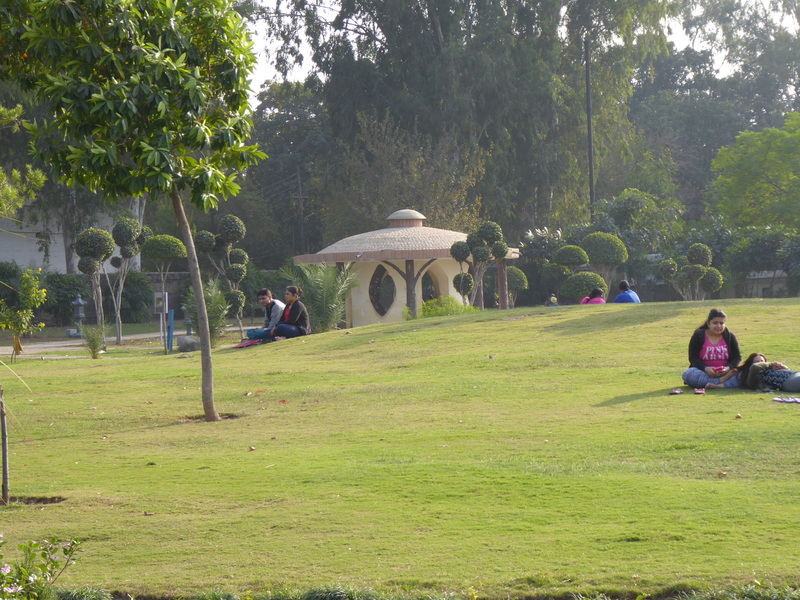 Chandigarh is one of most beautiful and planned city of India. Thanks for sharing such a wonderful experience of Chandigarh visit. If you visit again India then travel via train where you will experience the real India and Indians and their thought. And yes don’t forget to taste local dish even you can order food in train online too during traveling.